CDE Educators and Specialists located across Wyoming are trained and skilled in group process management, interpersonal skill and organizational development, leadership, and personal/organizational finance. Community development field educators are assigned to geographic areas around the state. 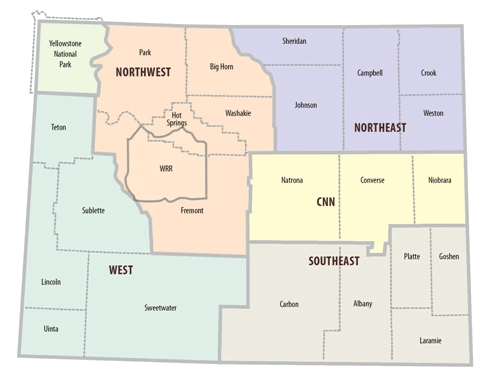 Specialists are based on the University of Wyoming campus in Laramie. Click on your geographic area above to find the educator assigned to your area or on the links below to find out more about the educators and specialists.